Dhaka, Bangladesh, July 29, Saturday:Â A major initiative to map all apparel factory in Bangladesh was launched. The project called â€˜Digital RMG Factory Mapping in Bangladeshâ€™ (DRFM-B) is the fiÂ­rst ever of its kind to attempt to digitally map the entire garment sector in Bangladesh and marks a transformative industry shift toward more transparency. This locally owned and managed project willÂ collect credible, comprehensive and accurate data onÂ factories across BangladeshÂ and disclose it in a publicly available, online map.Â The map will provide a detailed industry-wide database of factories, including names, locations, numbers of workers, product type, export country, certifications, brand customers, etc.Â Verification will be crowdsourced from the public to ensure that information remains up-to-date and accurate. The digital mapping project will be implemented by BRAC Universityâ€™s Centre for Entrepreneurship Development, coordinated by BRAC USA, with Bangladesh Garment Manufacturers and Exporters AssociationÂ (BGMEA) as strategic partner, along with lead funding from C&A Foundation.Â DRFM-BÂ will be guided by a multi-stakeholder Project Advisory Committee, including representatives of workers, NGOs, employers, and industry associations. â€˜â€™This project will send a strong signal to all stakeholders that transformative change is happening within the ready-made garment sector. Through its mapping and relationship building, DRFM-B will fuel Bangladesh’s garment industry advancements, inspire shared responsibility, responsible sourcing, collective action, and builds upon pre-existing improvement efforts through informed decision-making,â€™â€™ says Parveen S.Â Huda, Project ManagerÂ DRFM-B. The Chair of the programme, Professor Dr. Rahim B. Talukdar, Adviser, CED, BRAC University said, the contribution of the RMG sector over the last 40 years has been phenomenal. However, the learning curve of the industry has not been very smooth. In spite of the success of the industry, some unfortunate incidences like Rana Plaza and Tazreen have brought the whole sector into questions of transparency and accountability. DRFM-B project is an attempt to address these issues. The aim of this project is to collect real time industry data by conducting nationwide census and to exhibit the data in an interactive publicly accessible online platform like the Google map. It is our commitment to bring to the notice of the world outside that Bangladesh RMG sector is aspiring to be ever transparent and accountable in terms of meeting the global standards. The crowd sourcing technique build into the map will enable different stakeholders to point out any deviations they observe. Ms. Parveen S. Huda, Project Manager, DRFM-B, CED, BRAC University said, the expected outcome of this mapping project will be an interactive web-based map consisting different type of information about factories. This will help establish transparency and awareness, and ultimately lead to long-term sustainability and competitiveness of the Bangladeshi RMG sector. We anticipate a lot of challenges as we try to implement this unique project and we seek the support of all stakeholders present here today to help us achieve this daunting task. For more than 30 years, the apparel industry has dominated the Bangladeshi economy, making it the world’s second largestÂ garment-producing country.Â â€˜â€™DRFM-B is driven by the fundamental belief that transparency and traceability lead to long-term industry advancements and improved working conditions. By funding this project, we aim to increaseÂ industry accountability to transform fashion into a force for good,â€™â€™ saysÂ Naureen Chowdhury, C&A Foundation Program Manager Supply Chain Innovation & Transformation. â€˜â€™This transparency initiative would significantly complement our ongoing efforts towards enhanced, more risk-averse supply chains. We believe it will empower stakeholders across the industry, including workers, factory authority, brands, government, and civil society organizations to create positive changes and strengthen the effectiveness of improvements already underway. 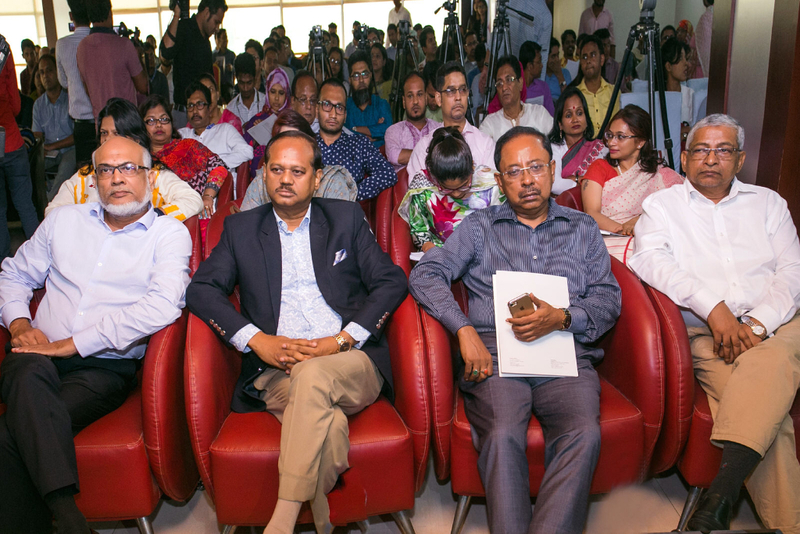 We hope this will be instrumental toward establishing a strong marketing and branding tool for the ready-made garment industry in Bangladesh through increased accessibility of information,â€™â€™ adds Mr. Md. 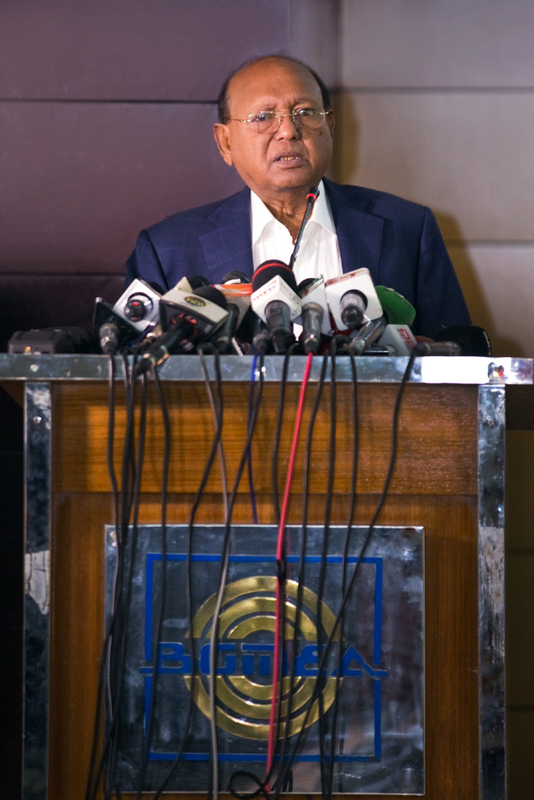 Siddiqur Rahman, BGMEA President, Special Guest of the programme. 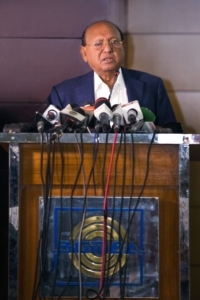 He also added that after the tragic incidence of Rana Plaza and Tazreen, a negative perception has been created for Bangladeshâ€™s RMG industry globally. One of the reason for this negative impression is the lack of information about the industry and factories. In recent years, a remarkable progress in workplace safety, labour standard and sustainability have been achieved. The safety inspection reports and updated information are available in the website of DIFE and Accord and Alliance which anyone can visit from anywhere of the world. This is one of the example of transparency. Moreover, Bangladesh is also a leader of green industrialization. If we can share these positive sides of our industry through GIS based digital mapping, this would certainly create a significant impression of Bangladesh. I believe this digital mapping will help the RMG industry to adopt with this ongoing culture of transparency. 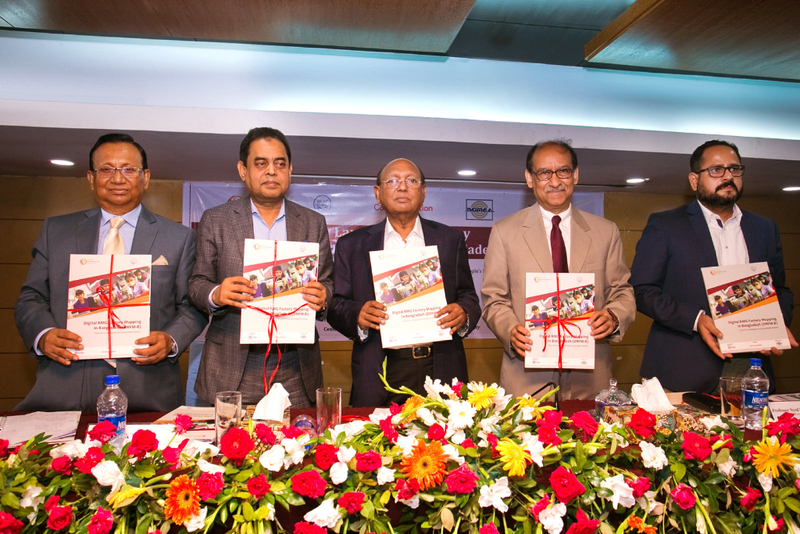 The launching ceremony of DRFM-B kicks offÂ on July 29Â in Dhaka, Bangladesh, with attendance of the honorable Minister, Ministry of Commerce, Government of the Peopleâ€™s Republic of Bangladesh; President, Bangladesh Garment Manufacturers and Exporters Association (BGMEA); Vice Chancellor, BRAC University; and Adviser, Centre for Entrepreneurship Development (CED), BRAC University. In his speech, the Chief Guest honourable Minister Mr. Md. Tofail Ahmed, MP applauded this great initiative of digitally mapping the entire sector and the attribute of the digital map that it will be online, interactive, publicly accessible, easy to use, and can be visible from anywhere in the world which is going to materialize for the first time in Bangladesh. He said, this map will surely be beneficial for all sector stakeholders especially for the brands/buyers who can directly get updated factory information from this map, and thus will establish transparency in the RMG supply chain. Consequently, this will help eliminate misconceptions regarding the sector. 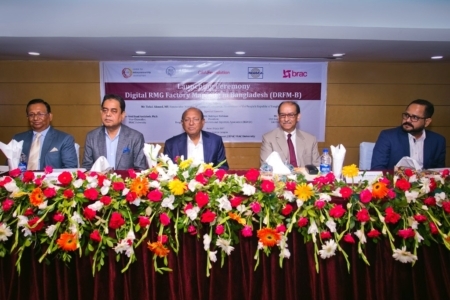 This initiative certainly proves that soon Bangladesh will become a true â€œDigital Bangladeshâ€ according to the nationâ€™s â€œVision 2021â€, envisioned by the honourable Prime Minister of Bangladesh. The Minister requested all stakeholders to support the sector from their respective positions and capabilities. He hopes that the project will show the entire world that Bangladesh has achieved many notable progresses that has established the brand value of â€œMade in Bangladeshâ€. Bangladeshi apparel producers are working hard to bring more transparency to this significant export earning sector, which has created a lot of employment opportunities; and that will surely bring respectability in the global community for us. The Minister thanked BRACU and BGMEA President for working on this project and then officially announced the launching of Digital RMG Factory Mapping in Bangladesh (DRFM-B) project. The public map will go live in mid-2018 with the Dhaka cluster. The final version of the map showcasing all 20 Bangladeshi garment-producing districts is expected to be completed by mid-2021.